Well, first off Jodie is going to be mad. Not that there’s a blog war going on…but when you get a bunch of athletes together, they tend to get a bit competitive. Even down to who has the most recent blog! We’re trying to get it a bit sorted out and try to get some webstuff moved around. I’m from TX and we say things like…”y’all” or “J’eat yet” or “fixin to” or the every popular “all yall”…more on one of those later. Now to the title…”Git Er Done”. The translation is simply to get the job done, finish the job, or whatever. Yesterday after our run, Scott and I were talking about a couple of our athletes that we coach through the TeamTBB Online Coaching. Basically, what it came down to was how impressed we were with how they attacked their workouts. So, yesterday about 3:15pm it started raining. Not just sprinkles and showers like we’ve had for the past week. But Biblical rain. In fact, we had to detour our ride today because part of a town was flooded out. It was raining so hard that Doc (that’s Brett Sutton for you new readers), a world reknowned old-skool hard-@$$ coach, postponed the run until 5pm to see if the rain would let up…it didn’t I think that it actually go harder. At 5pm we all met downstairs in the Tawanti hotel to see if what the plan was. The run was still on, but moved from the track (which was under water) to the roads (which were not). So, it was off to run in the rain. And, if you’re wondering…it has started raining again. I’ve given up on cleaning my entire bike and just moved to keeping the drivetrain clean. There’s a ride scheduled in the morning as well as our daily scheduled time for the swim. No stationary trainers are in sight. Anyway you look at it, it’ll be another “Git Er Done” kind of day! I say 57.2 because that I where my race effectively ended. For whatever reason, I got off the bike and just couldn’t run. I mean, I could run, just not fast. Certainly not what my fitness told me I was capable of running. Certainly not what the negative split run this morning told me I’d run. Certainly not what the few runs in Thailand leading up to the race suggested I’d run. Unlike Amy, I had arrived in Thailand about 1 week before I was to head to Singapore for the race. The days before leaving the workouts were not too hard, but they were at the tail end of a very consistent training block. Upon arriving in Thailand, I was greeted with the heat and humidity that I hadn’t really experienced since Texas in September. A rude, but welcomed, awakening. The first week or so consisted of pretty light workouts…generally just to get into a routine. And then suddenly it was off to Singapore…we were set up with a very last minute homestay from a contact in Austin. Big Thanks! It was my first 70.3 since June…and it showed. My swim start was so-so. As I exited the water to do the run around before loop 2 it was as if I was moving through quicksand. The group that I had just bridged up to after a lackluster middle 400 or so meters of loop 1 were running in a different time zone. I managed to close the gap again by the end of loop 2 seemingly to run into the same quicksand that I hit after loop 1. Doc would later confirm that while I might have felt as if I was running for all I was worth, I was running more like I was in quicksand and was quickly on my way to being dropped even before the start of the bike. I believe the phrase that he used was something to the effect of moving about as fast as “honey pouring from a jar.” Onto the bike with Faris just in front and the main group of 6 or so about 30 seconds up the road. A quick little missed turn and return and I was back in pursuit…I was not alone in missing this turn I would find out later. I rode as hard as I could for about the first 15 or so miles and bridged up to the tail end of the front bunch. It appeared there were about 7 of us. Then it was a hurry up and wait game as here and there someone would make a jump and the pace would quicken. James joined us and brought with him a few others and our group swelled to about a dozen. Hurry up and wait. Navigate carefully through the age groupers. Eat, drink, and get ready for the run. I was ready. In these conditions a 1:20 would have got the job done. I started the run in the same quicksand that hampered me exiting the swim. “Quicksand”…yeah right. More like “Slow”sand or molasses to be more accurate. Game over after about 5k. I would put one foot in front of the other for the rest of the run finishing about 13th or so. 1st race of the season over and done. Looking forward to this next block of training and race #2. The last few days have been filled with a photo shoot with our sponsors. I’ve got some good video footage to come over the next days and weeks, so stay tuned. 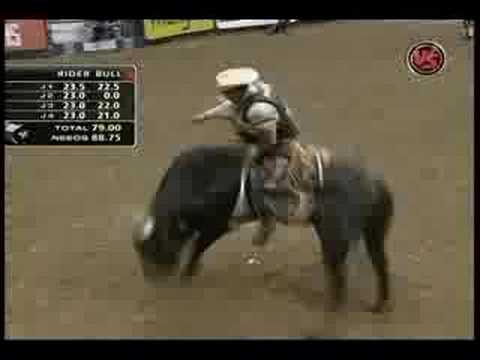 In Texas we have Bull Riding. It’s an 8 second ride if you are good. Ironman is 112 miles…under 4 hours and 30 minutes if you are good. Bull riders can make upwards of $1 million of prize money alone in a career. The #1 earner…prize money alone…is just over $5 million. #100 is just over $238,000. Yeah, it’s way more exciting than triathlon, but there you go. And, here’s part of my ride in Thailand the other day…87 seconds of one of the busier roads. Don’t worry mom…all the roads aren’t like this, and I had 2 hands on the bars the whole time!! I arrived in Thailand just over a week ago. Training hasn’t been too much as travel can be stressful enough. And, I’ll be racing 70.3 Singapore on Sunday. I’ll be sporting a new TeamTBB kit from 2XU, snazzy new LG and Avia shoes, a Cobb Cycling saddle, my trusty P4 and 3T bars, and my standby First Endurance nutrition. We are all familiar with the saying “What goes around comes around”. So, it’s been almost a full 12 months since Amy and I left Thailand. And, we are back 12 months later…this time about a month or so later than last year. And, we are back with TeamTBB for our 3rd training camp. There are some newbies…and we are no longer part of that group. I think that they’ve all been introduced via the web. But, we’ve got Dan from Isle of Jersey…but not New Jersey. We’ve got Aaron and Felicity from AUS…but not Austin. Jodie, another one of the GBR top triathletes…there seem to be a lot of those lately. Dave also from AUS, who is Xena’s other half…I had to google to see if Xena had a significant other in the TV series for a possible knickname, but Ares was all I could find and I didn’t have the inkling to figure out who he is/was. And we’ve got MaryBeth from the good ole U.S.of.A. Pity we could only get one more American in the squad, but unfortunately we were only 2 for 4 last year for retaining the US newbies, and 1 more was all that the Team seemed willing to chance, and I think that she was a late addition. 12 months later, some more new folks. I don’t have any pictures just yet or any “What are we doing” videos, but rest assured, they will come. The Hotel Tawanti is still the same. May’s english has improved, sadly my Thai has not. We still get ‘hellos’ while out riding and running…and grins and laughs when we reply back. Thai food is still spicy. The BigC and Tesco are still the go to places for all things needed. The first few days that I’ve been here the pool has cycled from not so good looking to really nice. Sadly, our go to spot for post swim food is not open anymore. But the hotel restaurant is and is a good substitute. As far as Thailand goes right now, it’s “same same” as they say here. Probably a follow up blog on sponsors and what not. And, once the Mrs. gets back from AbuDhabi, we’ll get rolling with some “What are you doing?” videos. Let’s see. I am in Singapore right now on a relatively short stopover before I catch a flight to Krabi for training camp. I’m probably going to swing by the TBB offices and take a short swim and do some coaching work with the folks while there. Trying to get things a little simplified in that area. But, it has been a little bit of an adventure so far. Not too much, and it could have been much worse. At the check-in counter in Dallas they were worried that I only had a one way ticket. They could only get my bags checked through to Beijing…and that threw them for a loop. Since I had to pick them up after landing, they were worried that I’d not be able to clear customs since I had no VISA for China…and they were not talking about a credit card. Last year, we had like a 12 hour layover in Seoul. We had to get our bags, hang out with them for awhile and go back in. So, they were prepared to NOT issue my ticket. After reading some fine print, and some pleasant discussion with me (really, I kept my cool! ), they saw that it was ok to send my on my way. Since I was in transit and would be there less than 24 hours, it was a go. I stopped in San Francisco, and had just long enough to check in for my Beijing flight. I had no boarding pass, and then at the check in desk, they were worried about me only having a one way ticket to Singapore. I explained and showed that I was not staying in Singapore. Anyway, after a little bit, I got on the flight to Beijing. Before we ever left the runway, I was dozing in my seat when I heard a ‘slap’ sound a few people shout ‘hey!!’. Turns out a few seats up, one of the passengers was kicking the back of the seat in front of him. The receiver of the kicks just turned around and smacked the guy behind him. Smacked him pretty hard as I think that there was a little bit of bloodshed. So, it was down to the runway to wait in line…or was it. Then we turned around and headed back to the gate. I wasn’t sure why. No one was sure why. They don’t tell you those things. Supposedly, one of the passengers did not have his immigration/customs documents in order. So, they requested that we return to the gate to get all organized. A bunch of security officers got on the plane, pilots were walking around, and then the doors were closed, seemingly with no issues. Then, we were on our way…again. The separated the two who came to blows earlier. 1.5 hours late, we were on our way. Landed in Beijing, and I went to the in transit desk. I got a ‘sticker’ on my passport that was to get me to my bags and back in the airport with no issues, or so I thought. Turns out, she wrote CA979 instead of CA975 on my flight number. So, they said I was going to Bangkok…of course that did not match what was in the computer. It took 3 walks from the transit desk to customs to get it all sorted out. Then, I hung out in the Beijing airport before heading to Singapore. On the flight to Singapore, I had hoped to get some much needed sleep. Turns out I was sitting with one rather large Chinese man who had a ‘larger’ sounding snore on my right. There want a slightly less large Chinese man with a slightly less large snore behind me. It sounded like road construction going on around me. Needless to say, not much sleep happened. So, now I am about to head to the TBB offices to take a short swim and get out of the airport for a couple of hours. Hopefully that won’t be too adventurous!! It’s already March. This time last year, I’d been in Thailand for about 3 weeks and was headed to IM China for my American Survivor TV Show type race in a week or so. I’d visited Singapore on the way and spent way too much time in the Airport in Seoul. Kimchi, no thanks. Bulgogi, maybe, but once is close to enough. Hainanese chicken rice is so-so…a little bland. But, in Thailand where we were it was an omelette with rice or chicken curry and rice or Tom Yum soup. I could eat that every day…which turned out to be a good thing. If you would have asked me two years ago in March 2009 if I remotely thought that one day I’d be going to Thailand to meet Brett Sutton and train as part of TeamTBB I would have said no way…but it’s weird where twists and turns will take you. It’s March 1, and we’re getting ready for training camp in Thailand again. I’ve got an IPOD that I didn’t have last year. I’ll probably sweat it up while in Thailand. As I type this, I’m listening to some Billy Joe Shaver, Zac Brown, Reckless, and other Texas type music. Now that I’ve got an IPOD and Itunes, I can take it with me…and try to convert some of my teammates. Anyway, it has been a pretty mild winter here in Texas, even though I blogged some of the coldness. There have only been a handful of days where it has been really cold. It’s just that everyone likes to talk about…aka gripe about…the weather wherever you are living. It’s turning really nice here right now, and I suspect that we’ll wish we were back in Texas about the time we land in Thailand. Anyway, never one to get to the point of the blog early…we are fortunate in Austin to have some great bike shops. Our local bike shop is the local Cervelo dealer, and they’ve got a really talented writer for their blog. She’s been trying to do a few pieces on “The (Real) Life of the Pros” on the blog and recently featured “Team-Marsh“. Amy and I are not very good (OK terrible) at self-promotion, so thanks to Kat and ATC for some visibility here! Which brings me in a round about way to some additional thanks for the upcoming season. We’re really happy to have Louis Garneau back as a team sponsor. I’ve been on the LG HRS Tri shoes for a year now, and could not be happier. I’ve been a fan of the basic single strap tri shoe for some time now, and the LG shoes are great. Thankfully, I’ve not really had to ‘test’ their helmets so to speak…but my other half has! The Diamond helmet did its job. Avia is back again! Brett has worked with us to train the way we race…certainly when it comes to shoes. I had a conversation with another pro in town, and he asked which model of shoes I ran in. I said “The Bolts”. He asked…for racing? I said for everything. So, my everyday pair of running shoes has become the Avia Bolts. The new ones just showed up, and they are snazzy. Can’t wait. Fortunately the list doesn’t end there…Cervelo, 2XU, 3T as well. I’m particularly looking forward to the 2XU gear as my running apparel selection is circa 1990 when I started the sport. I’m pretty sure that I’m still hanging on to the old stuff…at least a pair of really old tights. And, while Hurley board shorts might be fashionable…I can certainly tell you that they do NOT make good running shorts! But, how about Hurley! ?…triathletes like to look cool too!! Lastly, with a new year starting, it’s only fitting to give a little thanks in advance to Brett and Alex. They’ve both helped bring the team concept to triathlon. My history started with TeamTBB in 2010. The first year of the team was 2007. It’s grown. Team Timex was probably the first triathlon team to make it more than a couple of years. TeamTBB has continued to provided professional triathletes with the opportunity to see just where they can go by not only working to find top notch sponsorships, but to also provide the best coaching in the world. We’re seeing more teams pop up on the pro triathlon circuit with Trek/KSwiss, Commerzbank, a new Belgium team, Team AbuDhabi, Specialized, and Trakkers to name a few. Seems like TeamTBB has had a bit of a role in that starting out a bit over 4 years ago. So, March 1st already…and here we go! You are currently browsing the Brandon Marsh's Blog blog archives for March, 2011.